The School of Medicine has added two members to its fundraising arm as it continues to build for the future. 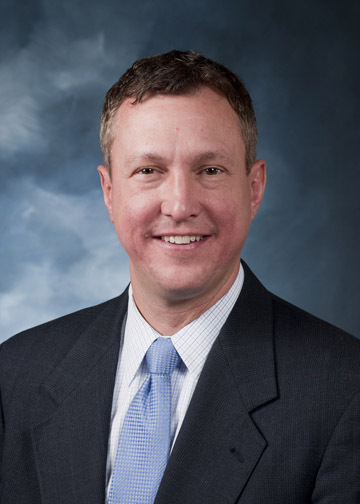 Kent Huyser recently joined the UMKC Foundation and serves as the School’s director of development. Jay Wilson now serves as the director of major gifts for the School of Medicine. Before coming to UMKC, Huyser worked at William Jewell College for more than eight years in a variety of advancement and development roles including annual fund, athletics, and major gift fundraising. He also worked in alumni relations programming and communications and served as a member of the management team in the Office of Institutional Advancement. 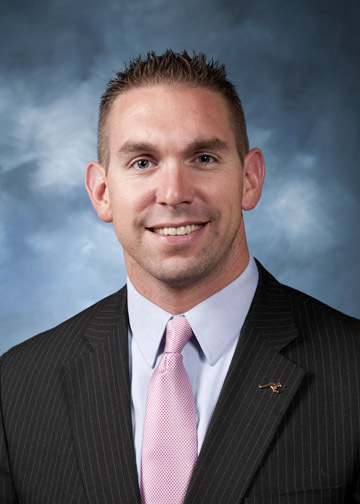 A graduate of William Jewell College with a degree in business management, Huyser began his career at the Federal Reserve Bank of Kansas City, where he participated in the management development program and worked for 10 years in various analyst, supervisor, and manager roles. A native of Overland Park, Kan., he and his wife reside in Liberty, Mo., with their three children. Wilson worked in medical school fund development at the Kansas City University of Medicine and Biosciences. He has also worked in non-profit management and fundraising and athletic fundraising at the KC Sports Commission and Foundation. A native of Sedalia, Mo., he earned his undergraduate degree in political science at the University of Central Missouri and his graduate degree in public administrations at Park University. In addition to his duties at the School of Medicine, Wilson is also actively involved with the American Diabetes Association and is serving a three-year term as a member of the North Kansas City Schools Board of Education. He and his wife reside in north Kansas City with their daughter.